Aloha! The Rams have travelled to Maui for the always-exciting Maui Invitational. Now, they’ll have a date with one of the better teams in the Big East. The Golden Eagles are 1-1, however, one of their losses came at home to a Top 25 Purdue team. Marquette is led by Andrew Rowsey with 24 points per contest; Justin Tillman is averaging 15 points and 8.7 rebounds per game for VCU. The Rams are coming off a close loss to Virginia in which Issac Vann was the star of the show. In similar fashion, Longwood transfer Khris Lane stepped up and delivered some big shots. Those two, as well as Tillman (who was very quiet against the Cavaliers), will undoubtedly be cubical to the Rams’ success in Maui. If VCU can clean up the offensive glass and get second chance points, it should have a shot at Marquette. The Golden Eagles rank 249th nationally through 2 games in offensive rebounding percentage; on the contrary, VCU’s 57th in that metric. 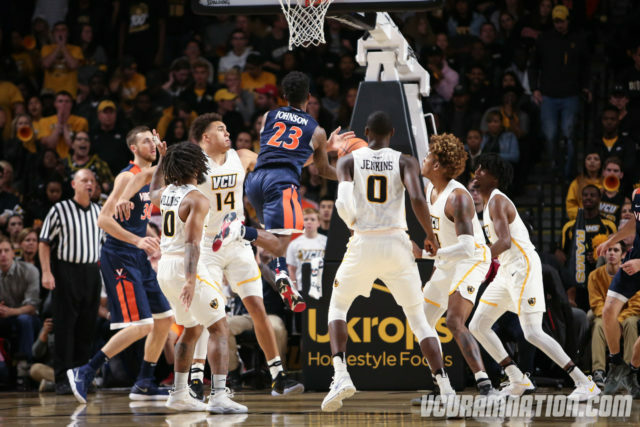 While Marquette is a very difficult team to stop offensively, and VCU’s defense is far from perfect thus far, the Rams could use their size and physicality to win this game. The Colonials showed some good flashes of play against Florida St. in Tallahassee, but the Seminoles were just too much to handle. With such a difficult non-conference schedule, coach MOJO has to win these games, no questions asked. Rider will present a challenge at home, sure, but this should be a win for GW. This is a make-up game for one last week in which the power in the RC went out — interesting to say the least. St. Bonaventure picked up its first win of the season over Jackson St. and will look to carry some momentum into this one. This is kind of a worst case scenario game: win, and it means absolutely nothing, lose, and you’re done.